The Southern CrossFit Christmas Party is Back for 2016!! Location: South Perth Foreshore - Sir James Mitchell Park - same location as 2013. 1:30-3pm - Food Truck Udderly Scrumptious will be giving us delicious Ice Creams throughout the day. We will have all the regular games out like Giant Beer Pong, The Knot Game & Giant Jenga but if you have any others you would like to bring along that's always welcome. After Party - Embargo will be located right next to us and for all those that wish to kick on into the night we could be moving on to there around 7pm for those still standing. So save the date and get the sunscreen ready for an epic day!! For the seventh year, the CrossFit Games will return to the StubHub Center in Carson, California. The week of the Games begins Tuesday, July 19, and runs through Sunday, July 24. Twenty men, 20 women and 15 teams will advance from regions in the U.S. and Canada. Thirty men, 30 women and 20 teams will advance from Europe and Australia. The 17 regions feed into eight regional competitions, which means that athletes compete with others from one or two other regions. The 2016 Regionals will be held over three weekends in May. Each regional will take place over three days, with events on Friday, Saturday and Sunday. The host cities will be announced soon and added to this article. The top five men, five women and five teams from each regional will advance to the Games. The Open narrows the Masters field from the thousands to the hundreds. The world's top 200 masters athletes in each age division in the Open will be automatically invited to compete in the online Masters Qualifier in April. This four-day competition will further test the athletes. This time, it's not one workout per week but several workouts packed into a long weekend. Land a spot in the top 20, and you will be invited to compete in Carson, California. At Southern CrossFit we are always looking for new ways to cater to all our members. With that being said and with the recent boom in the SXF Babies we are going to be trialing a Mums & Bubs Class on Tuesday the 22nd of March at 10:30am @ SXF Willetton!! If there is enough interest we would be looking at holding this class 1-2 times per week during April. This class will be open to all mums of any level and no foundations course is needed. The classes will be tailored to suit new mums with babies as well as expecting mums. The workouts will be lightweight, low impact and loads of fun. Registration for the Open begins Jan. 14, 2016. For five weeks, you—and the hundreds of thousands of other people who signed up—are at the whim of the Director of the Games Dave Castro, taking on workouts that may push you to learn a new skill, improve the skills you already have or go into a darker place than you’ve ever been before. The Open welcomes anyone 14 to 100 years old. (We’ll take any centenarians, too.) All you need to do is sign up, and enter a score each week. You can complete the workouts at a participating CrossFit affiliate in front of a judge, or film your performance from anywhere you want and submit a link as proof. To make the Open even more accessible, we introduced a scaled option in 2015. Each time a workout is released, athletes will be given two versions: Rx’d and Scaled. The Scaled-workout option is designed to be accessible to the majority of people who attend CrossFit affiliates. If you do CrossFit, there’s a very high chance you can do the Open, too. Workouts are released each week on Thursday at 5 p.m. PT, and athletes have four days or 96 hours to complete the workout and submit their score. Scores are due before 5 p.m. PT that Monday. The fittest athletes will advance to the next stage of the season. Due to the success of the CrossFit Kids trial classes held last year we are looking to run the classes in the upcoming school term - Feb 1st - April 8th. Saturday 19th Dec | Beach WOD !!! Let's get out of the gym and hit the beach for a wod! Saturday 12th December | Bring A Friend Day! Grab a mate and hit the Saturday WOD together! Ohhhh yes SXFérs... Its that time of year again !!! Drinks - BYO All drinks. Fill up yah Chilly Bins/aka Eski's and bring down whatever drinks tickle your fancy as we will have a liquor licence for the day. Chairs - BYO anything you need to keep you comfy throughout the day, picnic mats, chairs, beanbags and what ever else you need. The Prize giving will take place at 12:30pm with a rumors of a possible Santa & Koala appearance. All Updates and changes will be posted to the Facebook event so jump on and join in for what will be another amazing SXF Christmas Party!! This year we are going to bring back Primal Pairs for Southern CrossFit members only. However if an SXF member wishes to partner up with someone that is not a member that is fine, as long as they look good. Introducing the next level, new & improved, "Lifestyle Challenge"
This is NOT just another Paleo challenge, infact you don't even need to do paleo if you don't like!!! This incredible 8 week challenge is open to all members of Southern CrossFit Nedlands & Willetton as well as all family & friends! The challenge will start on October 5th with body scans happening at the Willetton gym on Friday the 2nd of October and run for 8 weeks finishing up on November 29th. Most importantly Support & Accountability! What more do you need to get you ready for the beach this summer! If you have been thinking about trying out a new diet or mixing things up a little then this is for you! If you need a little help & support trying to create some better & healthier habits then this challenge is for you! Facebook Page here for more info! This September Southern CrossFit is going to participate in Footy Colours Day on Friday September 4th, to raise money for the Fight Cancer Foundation. Each year, Fight Cancer Foundation asks all Australians to unite and wear their favourite football team's colours on the first Friday in September and help support the fight against cancer. Football unites communities – whether you follow AFL, NRL, Soccer, Rugby Union or any other sport – unite, stand shoulder-to-shoulder with your fellow Aussies and support young Aussies living with cancer. On Friday the 4th, we ask that all the members come in ready to workout and have some fun, dressed in their favourite footy teams colours and make a small donation to this great cause. See below for the WA Qualifiers of the AllStar Team Series. Stand-by for possible in-gym screenings at the gym!!! Primal Cocktail Ball / Southern CrossFit's Birthday!! 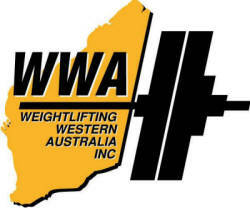 All Lifters must be WWA Members. Don't want to compete but you'd still love to be a part of The Primal Throwdown? Great we're always after more volunteers!! For anyone interested in being one of our wonderful volunteers for the 2015 Primal Throwdown. It is on the weekend of the 12th, 13th & 14th June. Join the Primal Volunteers Group!